Oral factor Xa (fXa) inhibitor-related bleeding is a concerning drug safety problem. There is considerable controversy surrounding available reversal strategies. The recently approved reversal agent andexanet alfa has limited data, an unclear safety profile, and imparts a substantial financial burden. This has led to the off-label use of four-factor prothrombin complex concentrates (4F-PCC) for this indication. This study aimed to assess the safety and efficacy of 4F-PCC for the management of major bleeding related to oral fXa inhibitors. This observational, retrospective study included adult patients admitted from 2014 to 2018 who received 4F-PCC (Kcentra®) for fXa inhibitor-related major bleeding. Efficacy was assessed using criteria described by Sarode et al. Secondary outcomes included the incidence of thromboembolism, mortality, and a cost analysis comparing 4F-PCC to andexanet alfa for reversal of oral fXa inhibitors. Thirty-one patients received 4F-PCC for major bleeding associated with apixaban (55%) or rivaroxaban (45%). Intracranial hemorrhage (58%) and pericardial effusion (16%) accounted for the majority of bleeding events. Most patients received a single weight-based 4F-PCC dose of 25 units/kg (38.7%) or 50 units/kg (51.6%). Effective hemostasis was achieved in 80.6% of patients. Five patients (16%) died due to acute bleeding and no thromboembolic events were observed. 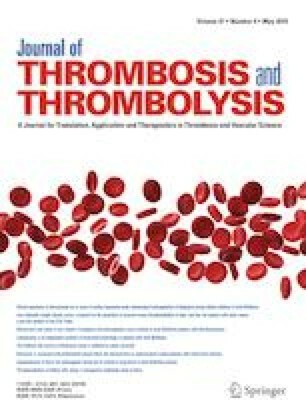 Administration of 4F-PCC was effective for most patients requiring emergent reversal of anticoagulation with apixaban or rivaroxaban and was associated with a low risk of thromboembolic events. Considerable cost differences limit the use of andexanet alfa and may warrant further study of 4F-PCC for fXa inhibitor reversal. This manuscript has been read and approved for submission by all authors. There was no financial support provided for this manuscript. The authors declare that they have no conflicts of interest. This study was approved by the institutional review board. All procedures performed involving human participants were in accordance with the ethical standards of the institutional research committee and with the 1964 Helsinki declaration and its later amendments or comparable ethical standards. A waiver of informed consent was approved by the institutional review board due to the retrospective nature of the study.